Google Earth can be a great tool to explore – and show off – your photos: as “balloons” pinned to the locations where they were taken. Add a GPS track log and you get a bird’s eye view of your trip and the spots where you stopped to take photos. 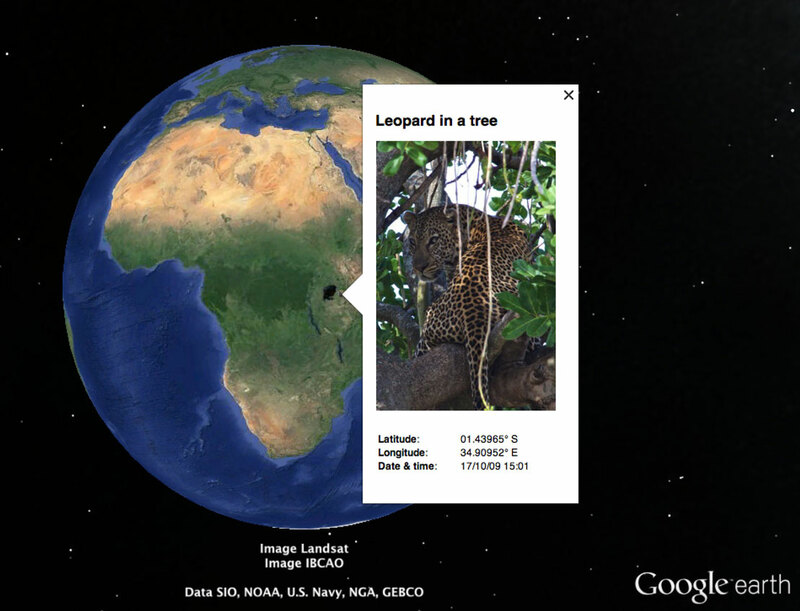 Photo viewing in Google Earth is not limited to holiday snapshots. A real estate agent, for example, can create a Google Earth file with photos of a particular property. Buyers can download this file. It lets them explore the property and neighborhood – and see the exact vantage points from where the photos were taken.